Beau’s is Back in Bloomfield! All of you long-time lovers of the famous Beau Jack’s in Bloomfield Township may not be thrilled with the swift changes that took place, but I’d advise you to keep an open mind. The decor has changed – but for the better. It’s brighter, cleaner, and still has an old-style charm without trying too hard. 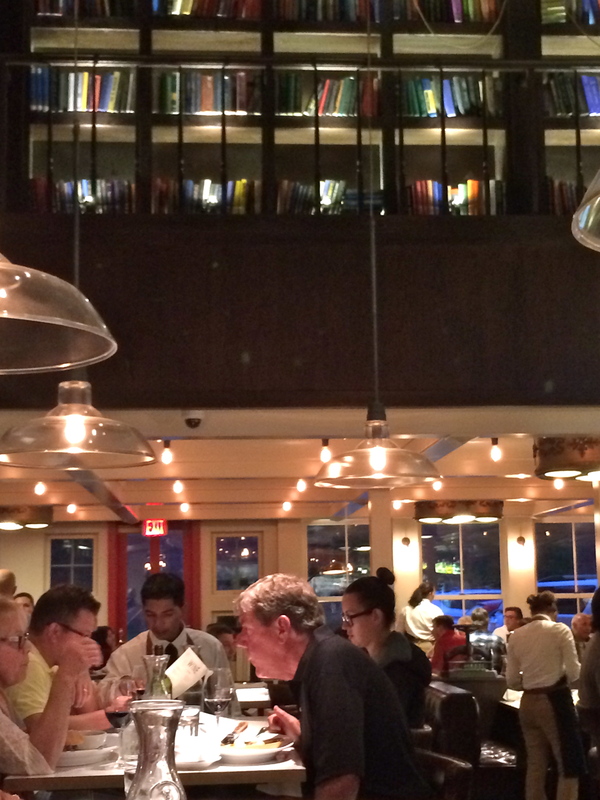 My favorite aspect of the new Beau’s is the bookshelf that towers above the seating area. Gaze up and you’ll see shelves upon shelves of books, which gives the place a homey feel. My second favorite feature is a large window looking into the kitchen, so you can watch the action without feeling the heat. I actually sat right next to the kitchen and watched the cooks season, fry, and chop. They also have a wood-fire grill that adds a new level of flavor. The menu was definitely re-vamped and more simplistic than I expected. I was glad to still see Beau Jack’s Maurice salad and Vargo’s Chili, but the rest of the food items were brand new. The change that stuck out the most from the old Beau Jack’s menu was the variety of side dishes that you can choose from to go with your entree. You have the option of ordering the side dishes a la carte, so you could even make a meal out of them! Polenta, quinoa “fried rice”, and mac n’ cheese, please? 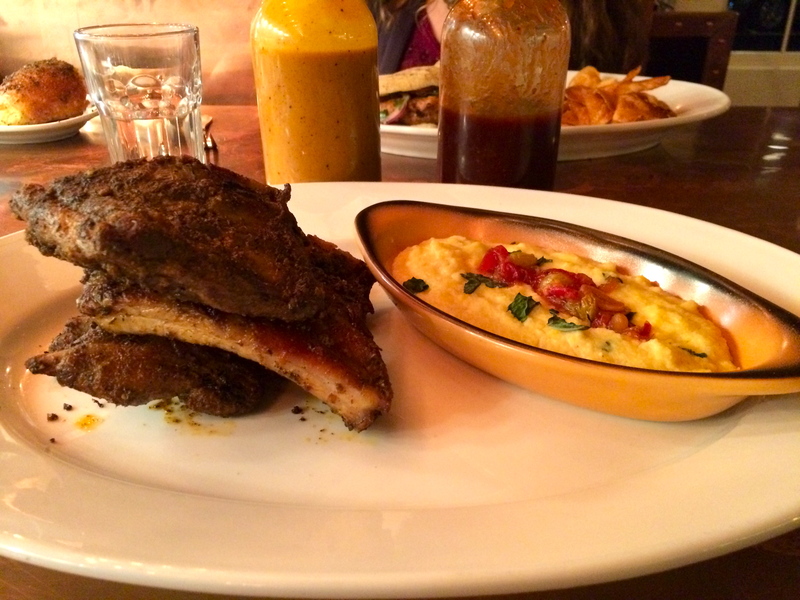 My waiter was very knowledgable, and strongly recommended the ribs, which are dry-rubbed and served with mustard-base and traditional-style BBQ sauces on the side. The dry rub was a bit salty for my taste, but I still enjoyed the flavors and felt that the BBQ sauces were nice to have for dipping. I chose polenta for my side, which had cheese folded in. Yum. 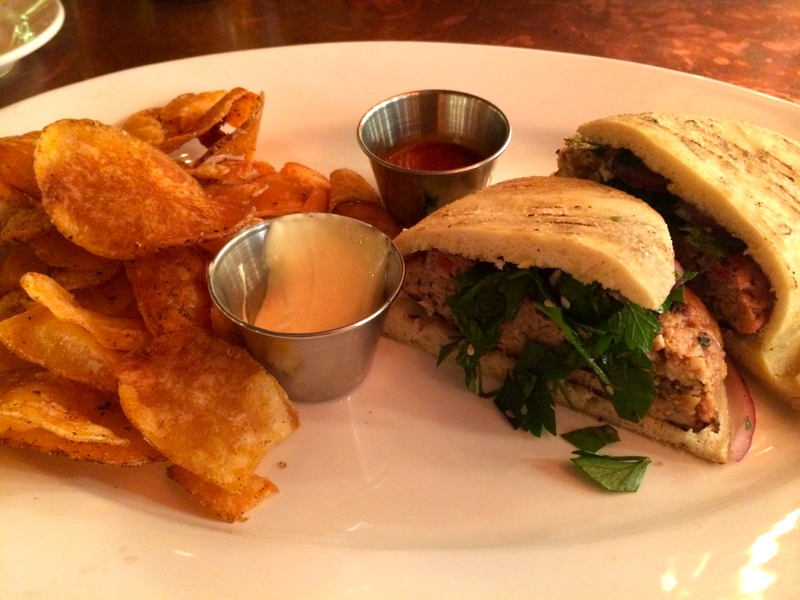 I also tried the turkey burger, which had a Mediterranean flair. Instead of the traditional lettuce and tomato, the burger was topped with chopped parsley and onions, and served with an aoili. I was thrilled by the amount of flavor packed into this burger! A+, Beau’s. I also liked the bun, which resembled pita bread more than your traditional burger bun. Along with a newly crafted menu, Beau’s still offers a full-service, beautifully decorated bar with plenty of beverages, including wine, beer, and liquor. Their beer menu was limited, but I expect some expansion as time goes on. It’s evident that the owner, Zack Sklar, wanted to hold on to the classic feel of Beau Jack’s, while updating it to please both old-timers and the younger generation as well. I can see Beau’s becoming the new “hot spot” of Bloomfield Township. Stop by on a weeknight or weekend and let me know if you agree! Hours: For dinner only Sun.- Thurs. 4 p.m. – 10 p.m., Sat.-Sun. 4 p.m. – 11 p.m. Lunch starts Oct. 1! OK, your review (exellent, by the way) has motivated me to wait in line and try this place. On paper, the menu looks bland, but you ssaid enough here that I’m going to give it a chance. Thanks, C&K. Definitely don’t let the basic menu steer you away. Beau’s has some very tasty food going on!